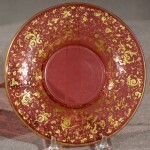 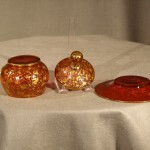 A very pretty gilded and cranberry colored glass bowl with a matching under plate. 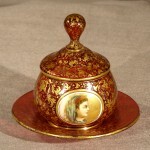 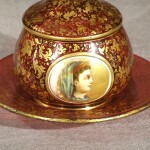 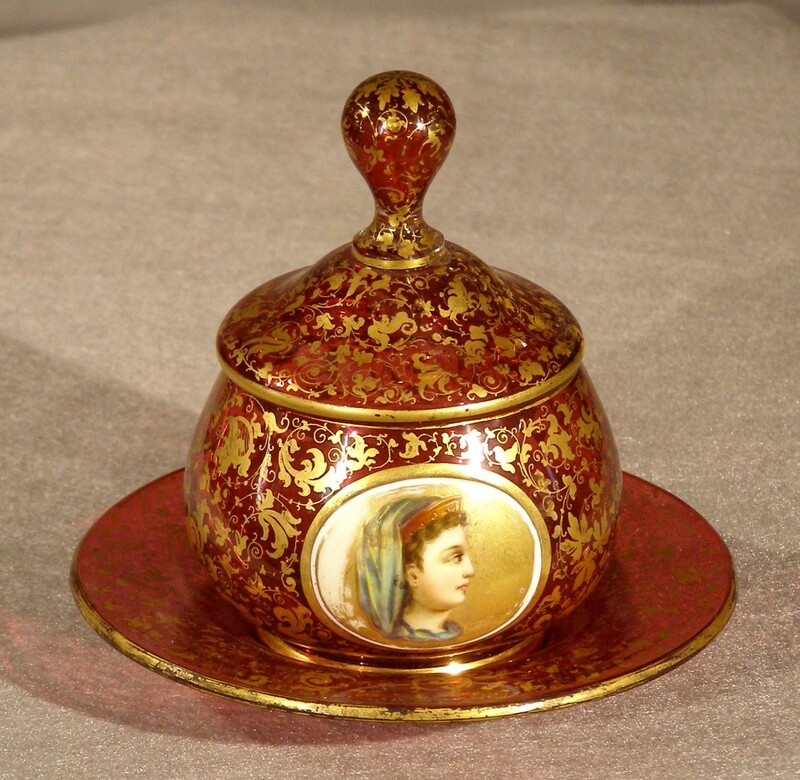 The bowl has a well painted enamel portrait of a woman’s head in profile. 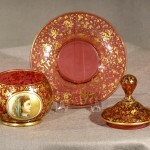 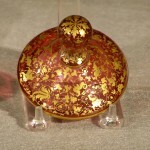 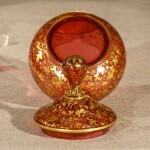 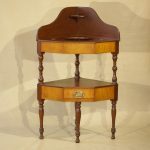 Produced in the 2nd half of the 19th century, most likely in Europe, possibly Moser of Bohemia.